Do you have thin hair? Greasy hair? How about hair that isn’t necessarily thin in amount, but baby-fine strands that tend to lay limp? I hear ya! While my hair isn’t terribly thin in amount, the strands themselves are very thin and any layering in my hair tends to make the longer layers look so pitifully thin! There are many conventional products on the market for this type of hair, but they tend to be laden with chemicals that dry your hair out and they don’t even work all that well to make up for it! I have some natural ideas for you to try that have really helped my hair. I will separate them into a few different posts so I can go in depth on each suggestion. 1.) No more chemical shampoo & conditioner! I have switched from sulfate shampoo and silicone conditioners to homemade shampoo bars (pssssst… they’re in my etsy store!) 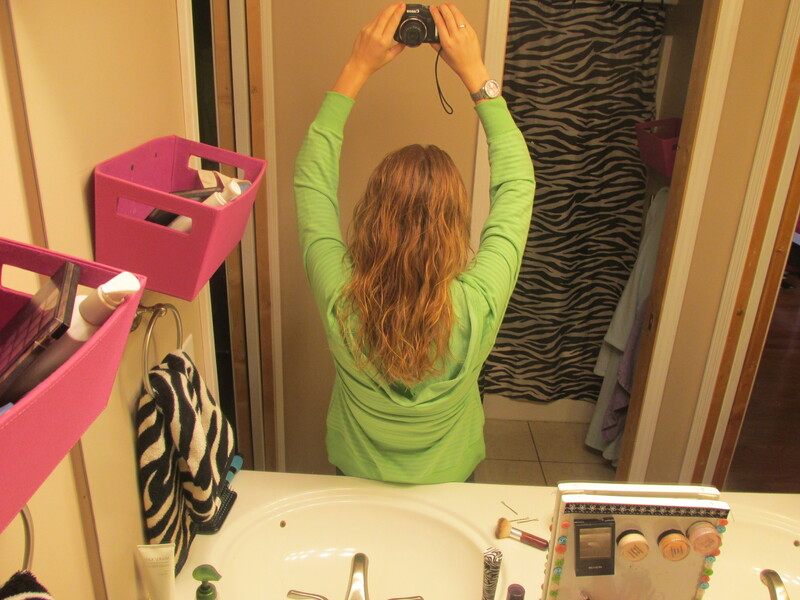 with an apple cider vinegar rinse and just a dab of Young Living conditioner on the ends. I have found the shampoo bars have really improved my hair growth and I have so many baby hairs coming in since I began using the bars. I make them with specific Young Living essential oils that stimulate hair growth and scalp health. Healthy scalp = healthy hair! Also, as opposed to a sulfate shampoo, shampoo bars do not strip the natural oils from the hair so there isn’t a need to weigh the hair down with synthetic moisturizers. That keeps the hair from getting weighed down and heavy. Light and voluminous is what we are going for here! 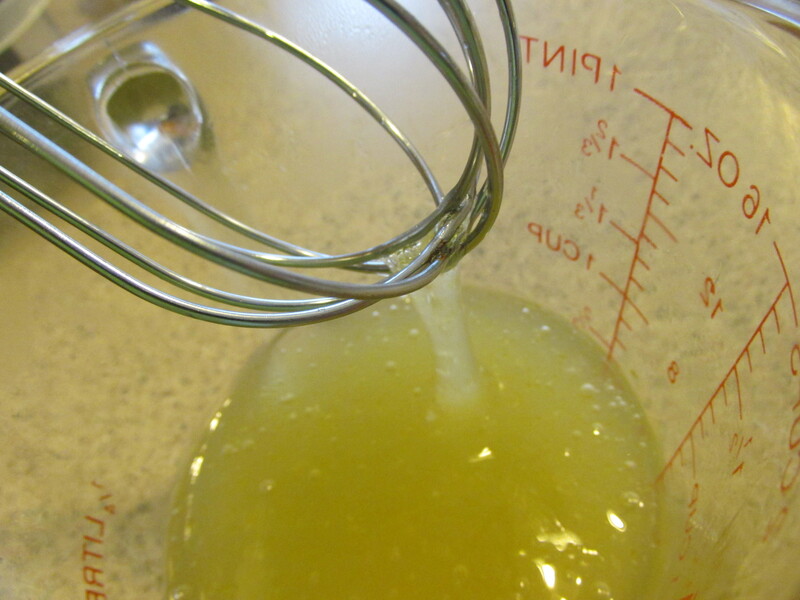 The apple cider vinegar rinse is simply a few tablespoons of vinegar mixed with a cup of water. I pour this over my hair after shampooing to neutralize the PH of my hair and scalp. It is super clarifying and removes any build up. Young Living has several different conditioners that are all great quality and provide natural moisture for your hair. You browse through products and order through that link. I use just a pea sized amount of conditioner and work through my ends to prevent split ends and tangles! Hair with volume and body starts in the shower. This is where I start, every 2-3 days when I shampoo. Hopefully this provided some ideas to get started on and I will be posting the next step as well as some recipes I use in my hair routine ASAP! Hey there my blogger friends! Sorry I dropped off the face of the earth for a bit there. Between technical difficulties and 2 more horse camps I haven’t been able to get on my blog AT ALL. But, I have big news! As I’m sharing all my recipes and concoctions with you on my blog, I am also going to be selling my creations on Etsy for those that maybe don’t have the time or ability to do it themselves. I’m really excited about the idea of sharing my work through Etsy, so please do me a favor and check out my shop as well as sharing it with your friends! It is small right now but I am slowly adding more and more listings as I am able to get pictures, etc. Well, I’m off to try a new soap recipe that I will hopefully be sharing with you if all goes well! Thanks for reading, and again please check out my shop and let me know what you think! Alright, I promised last week a post on Essential Rewards, so here it is!! When you become a wholesale member with Young Living you not only get discounted product, but also the opportunity to participate in Essential Rewards. Essential Rewards is an auto-ship program that requires you to spend at least 50 PV (PV = “point value” and is usually close to the dollar equivalent) on product monthly. This is easy to do as Young Living supplies products like deodorant, shampoo, conditioner, toothpaste, etc, that you would be spending $50 on anyway. Young Living also has different Essential Rewards packs that you can put on auto-ship, like the Everyday Oils set, ART skincare, core supplements, and more! You can change you auto-ship order, too, so you can try new products each month. Now here’s the good part… By participating in Essential Rewards, you get discounted shipping rates, AND earn credit for free product!! In your first 6 months of being on the Essential Rewards auto-ship, you get 10% back in credit for the PV of your order (remember, the term PV is usually dollar equivalent). That means if you spent 100 PV, you would get 10 PV in credit. In your second 6 months participating in Essential Rewards you get 15% back in credit. After you have spend a year in Essential Rewards, you get 20% back EACH MONTH in credit!! This is such a great way to save up for more expensive products or oils that you wouldn’t normally be able to afford. I am saving my credit up to splurge at Christmas time which will be my 1 year mark in Essential Rewards. Should you choose to build a business with Young Living and sell product, Essential Rewards also offers special promotions and bonuses for distributors. Hopefully this post helped you better understand this great program Young Livings offers. If you would like to become a whole sale member with Young Living and start earning credit by getting on the Essential Rewards program, click here and choose your starter kit. Signing up for Young Living can be a little overwhelming, but this blog post I wrote recently should answer any questions. As always, with an questions you can send me an email at bigsis2many@yahoo.com. So why should I become a Young Living Independent Distributor? This is a question I have been asked a good bit recently. The answer is a bit lengthy, and there are SO many reasons to join Young Living, but it can be summarized with this answer.. I think that anybody would say health and wealth are major objects of consideration in day to day life. Young Living essential oils heal your body from the inside out. I have been using the oils for less than a year and I have seen them relieve upset stomachs, simple colds, extreme flu symptoms, relieve painful bumps and bruises, clear up skin conditions, and heal cuts with minimal scarring. Young Living oils are a fantastic natural way to heal your body. Young Living oils are also a great asset if you are interested in natural skin and hair care! That is actually my primary use for them (you may have noticed if you have read any of my past blog posts!). I love my new clear and glowing skin, and thick shiny hair!! But here’s the best part.. By joining Young Living I am able to receive these oils at an amazing discounted rate as well as being able to participate in special promotions. 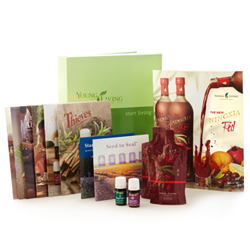 Young Living offers several different starter kits to introduce you to the oils and the company. The cheapest one includes 2 oils (lavender and peppermint) and is only $40, AND it comes with a $40 off diffuser coupon! If you use that coupon, you are basically getting the kit for free! Being a little skeptical, I chose this kit to get started. In hindsight, I really wish I had gotten the “Start Living with Everyday Oils” kit. This kit includes 9 oils: Frankincense, Lemon, Peppermint, Lavender, Thieves, Purification, Peace & Calming, Valor, and Panaway as well as all the educational information and $40 diffuser included in the “Start Living” kit. 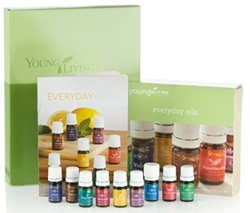 This kit is priced at $150 which is a great price considering it includes 9 different oils! As a Young Living Independent Distributor, you aren’t required to “sell” anything unless you choose to. Instead you just get great discounts on premium quality oils, not to mention being able to participate in Essential Rewards and earn free product and discounted shipping rates. I’ll be blogging about Essential Rewards tomorrow, so stay tuned! To give Young Living a try, click here. Make sure “Independent Distributor” is selected, and select your starter kit below! Email me at bigsis2many@yahoo.com with any questions. I promise you won’t regret it. 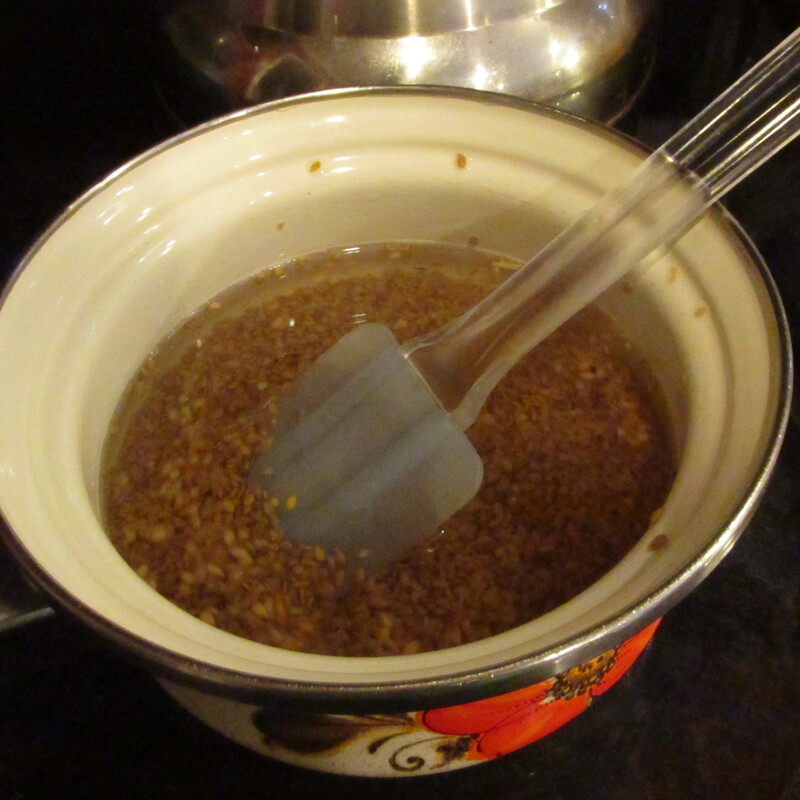 Flax Seed Gel…. is it worth it? Okay. So I recently came across this idea for “Flax Seed Gel.” In theory it makes perfect sense if you have ever used flax seed and experienced the sticky gummy mess when they get moist. Most of the posts I read about it said it WAS great… in theory…. but very messy and not necessarily worth it. 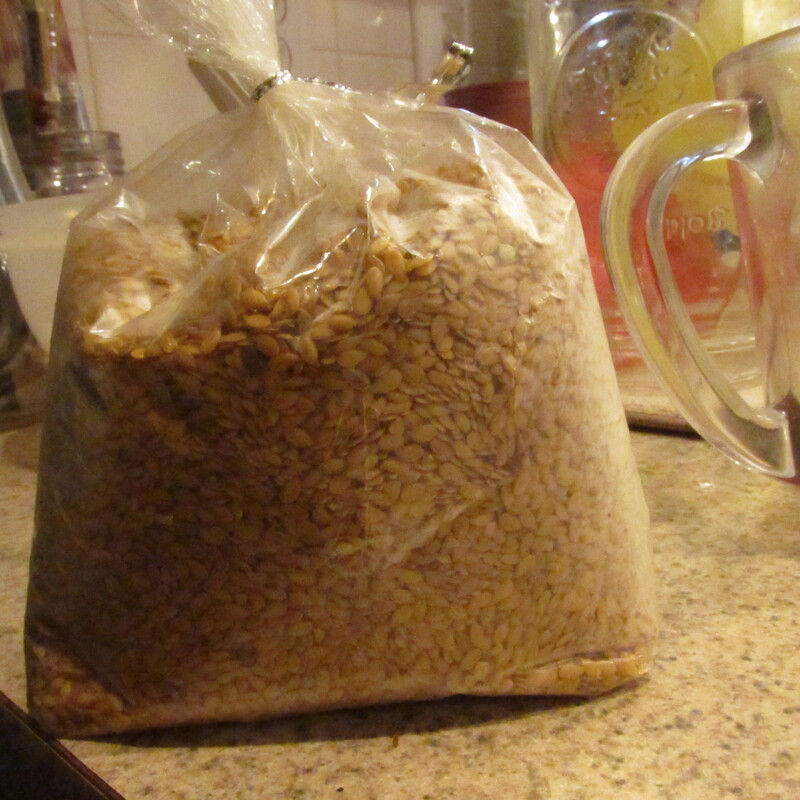 Flax seed. Full of omega-3 fatty acids, these little seeds aren’t just not bad for your hair, they are good for it! The consumption and topical application of flax seeds and flax seed oil with revive and strengthen your hair. I turned the stove onto medium heat and stirred regularly as it came to a boil. 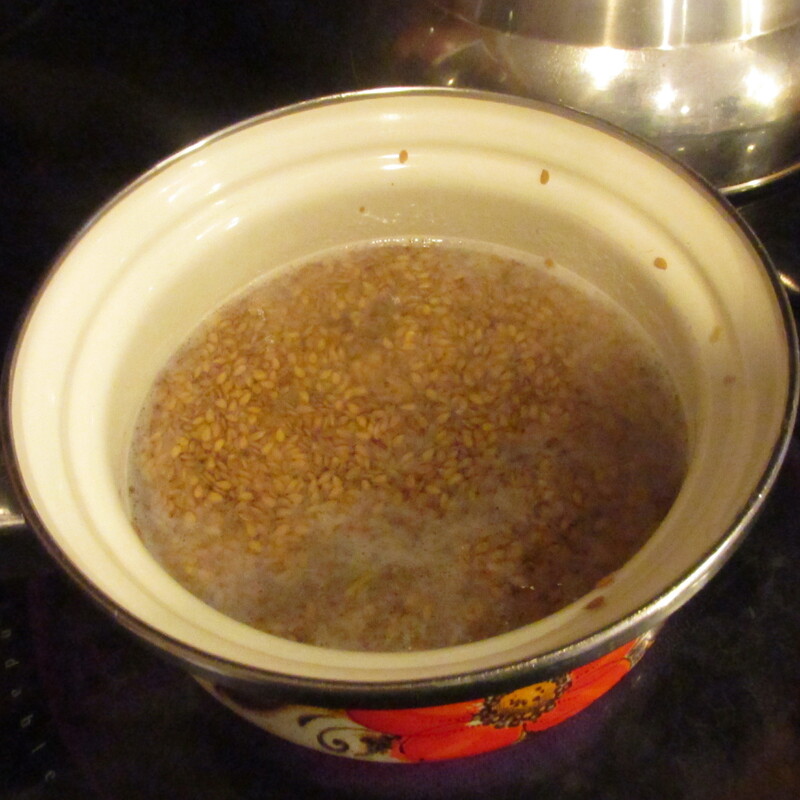 In between stirring I prepared for the next step of the experiment…. 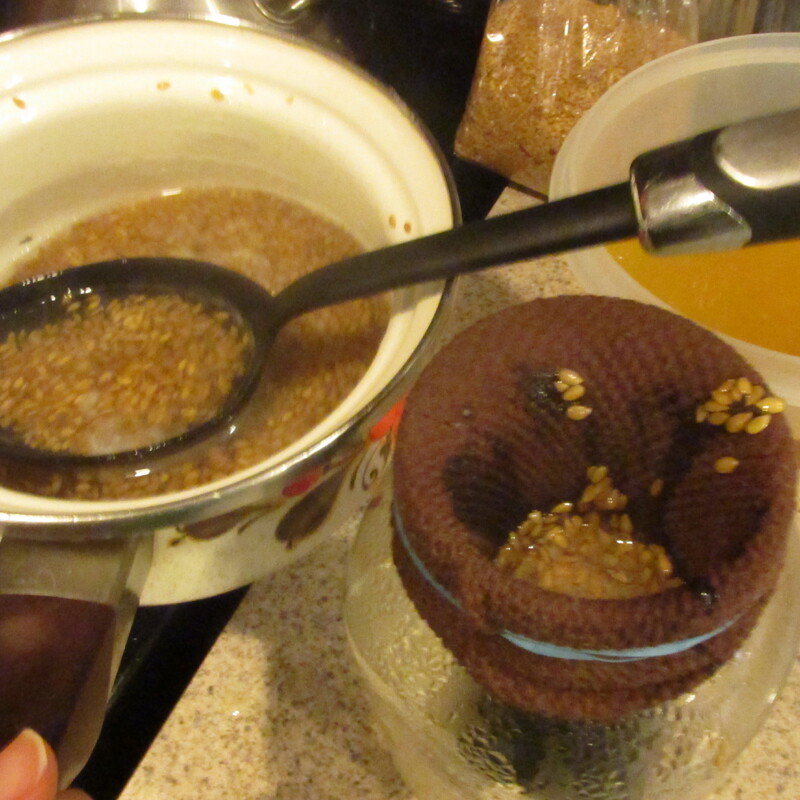 I have read different methods for extracting the gel from the seeds, and while I would have preferred a fine strainer (especially after having tried the stocking technique), I didn’t have one on hand. 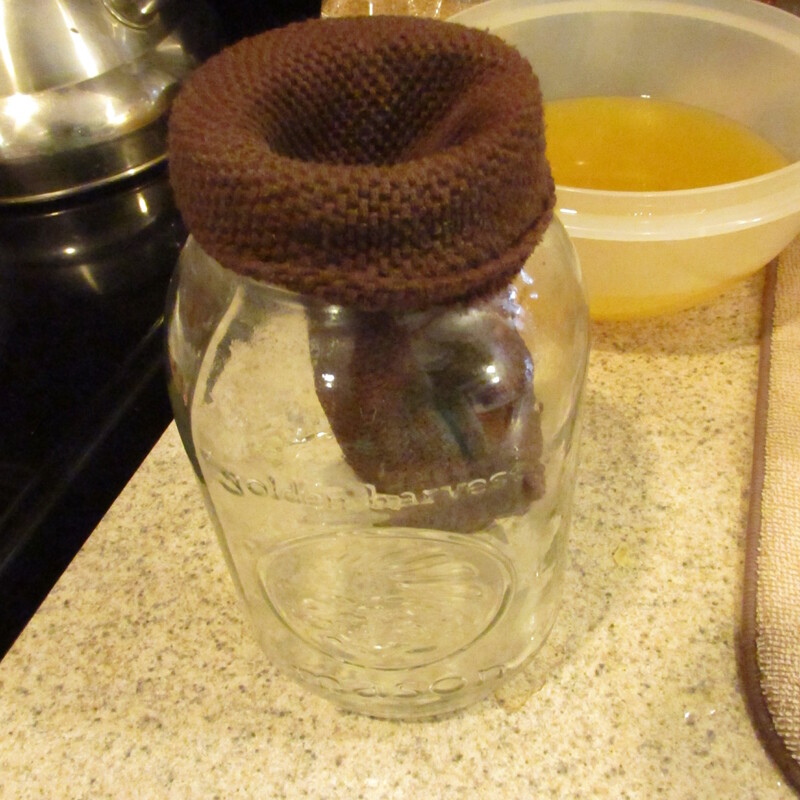 I used the toe off an old pair of tights and as you can see I tucked it over the lid of a mason jar. After taking the picture I secured it with a rubber band. After a few minutes of boiling, the seeds and water started to get a milky color and became the consistency of egg whites. Everything I read spoke of the horrors of letting the seeds boil too long, so as soon as they got to this point I took them off the heat. Honestly in hindsight I think I should have waited a few more minutes. But continuing on…..
Everything was smooth sailing up until this point…… You see, I underestimated just how much tights can stretch. That little bit of stocking I left hanging in the chair quickly expanded…. It’s hard for the gel to drain when it’s sitting in itself, if you didn’t know. I would have just lifted it up and squeezed the gel out, but it was still boiling hot so I stuck it in the fridge for about 5 minutes. 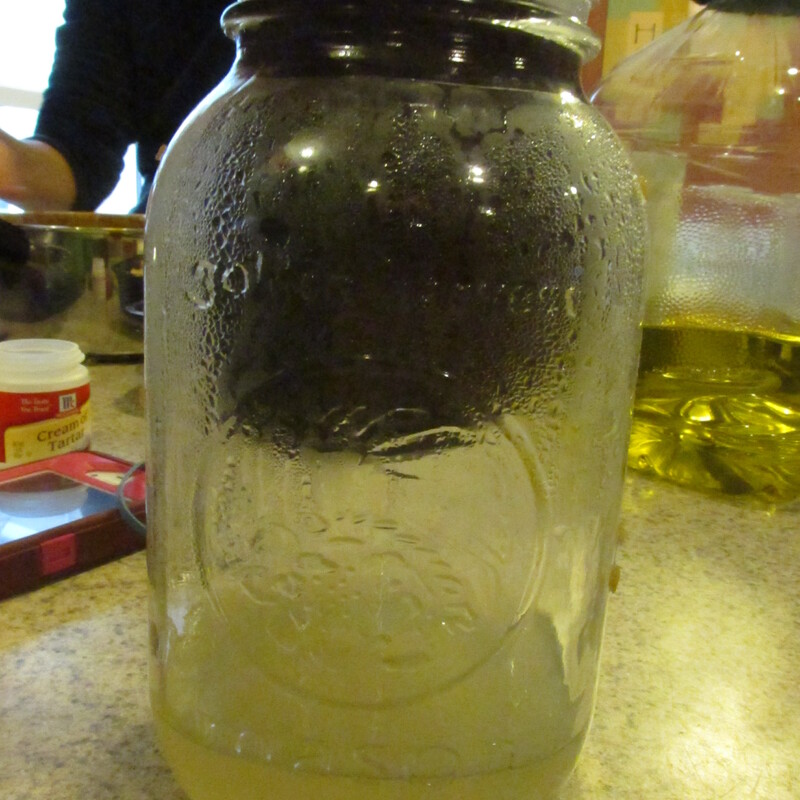 I don’t know if you can see the stream of gel being squeezed out inside the jar. 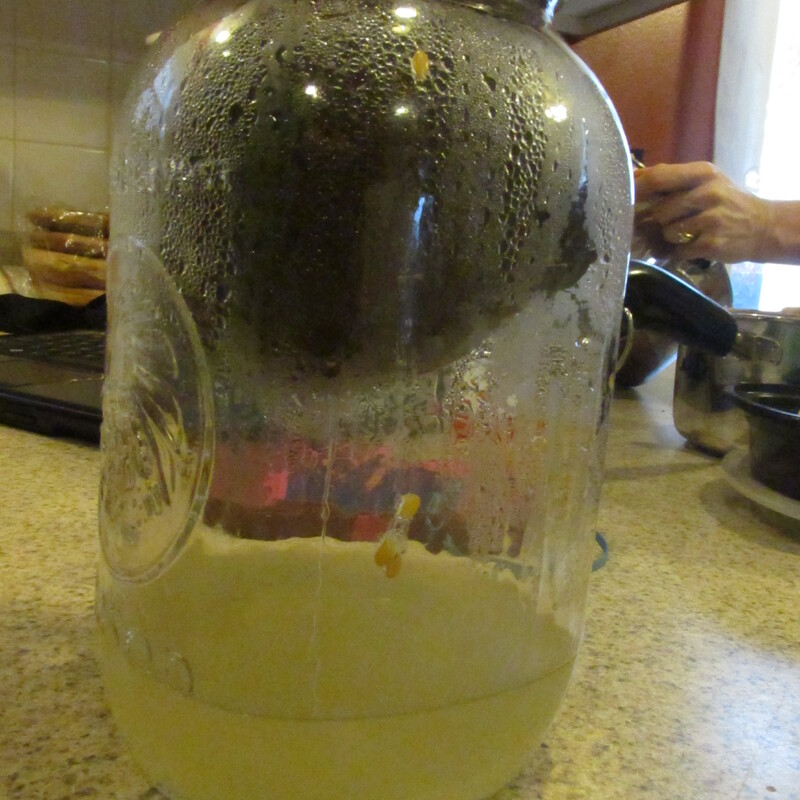 Slowly but surely the jar was filling with gel. This is where I realized what exactly this gel was going to be like, and this is where I am torn. Do I rave about the wonders of this magical gel contained in flax seeds? Or do I tell the truth about what I discovered? I’ve always been taught honesty is the best policy…. so here we go. It looks and feels exactly like snot, and honestly, that is kind of a hard thing for me to get past. I really wanted to throw in the towel, or the stocking, rather. It was slimy, it was gooey, it was gross. But I put on my big girl pants and decided to persevere for the cause. What cause? I’m really not sure. 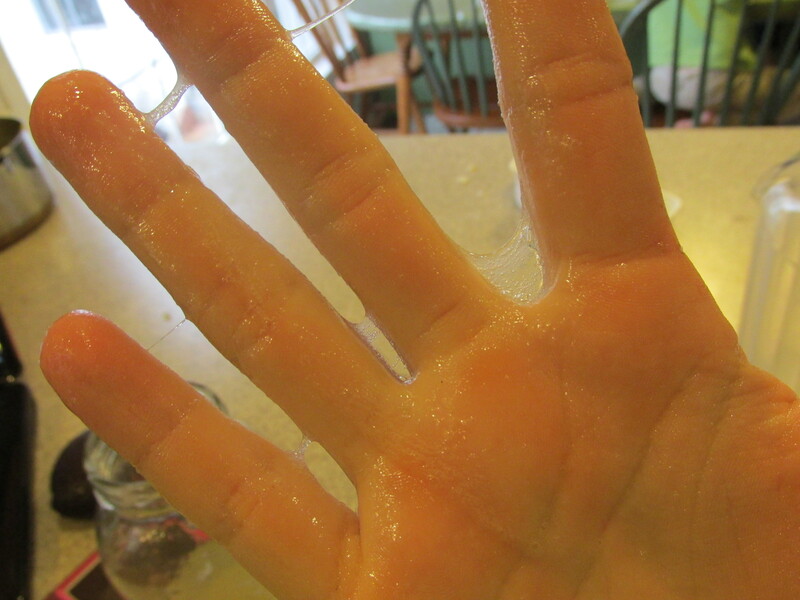 It was kind of fun to play with… see my webbed fingers?? I squeezed until the stocking started to rip and I had to give up. I just know there is more gel in there. 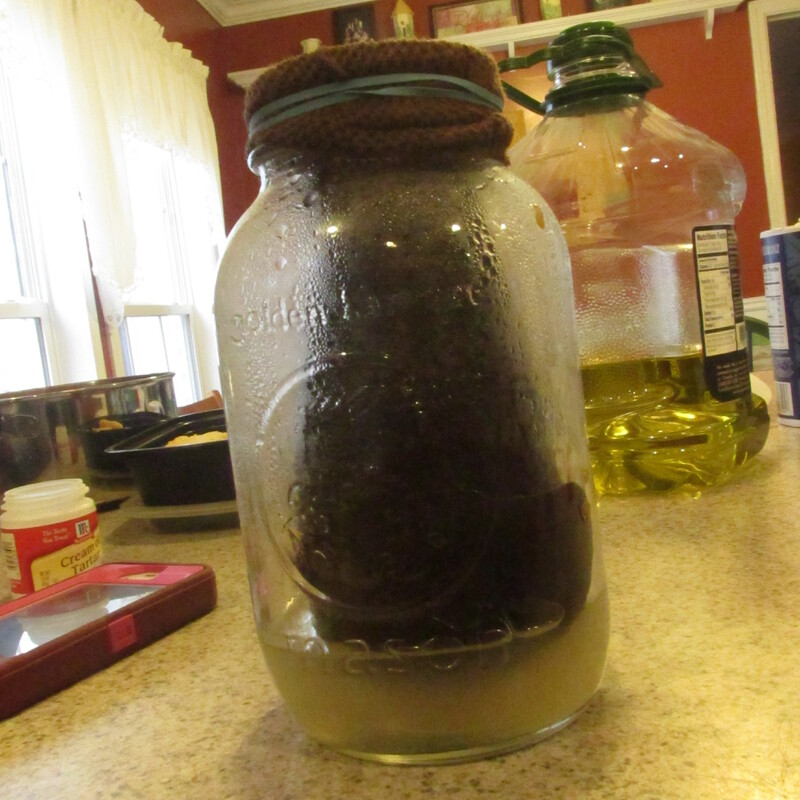 Oh well, I am told you can reuse to flax seeds so maybe I’ll give it another shot and get the rest of the gel out. At this point I added my essential oils and coconut oil and whisked it up. You can see it still has a mucous like consistency. I think some of that could have been solved by letting it boil longer and gel more. I took this picture with the whisk held up so you can see how runny it is. So that was the final product. Gross, but with the coconut oil and EOs it smelled yummy, at least! Again I gathered my courage as it was time to try it out. I’ll preface this by saying, I don’t by any means have curly hair. My hair has a mild wave, and I’m pretty sure the ends are still especially wavy due to a lingering perm from 4 years ago. Or maybe I’m just crazy. I don’t know. Anyway, I got my hair damp and scrunched it in. It was really hard to scoop out of the container and get in my hand due to the texture. It all wanted to run back into the container. Once I was able to get it in my hair, it actually had a really nice texture and made my hair feel especially soft. What surprised me was how it made my hair feel so soft, yet as I scrunched it actually held my hair and created soft waves. I would go as far to say some part of my hair looked downright curly! Did it work? You can decide for yourself…. My hair is still slightly damp in these photos so it looks a little crunchy. It has dried soft though, while maintaining a pretty strong hold. Impressive! 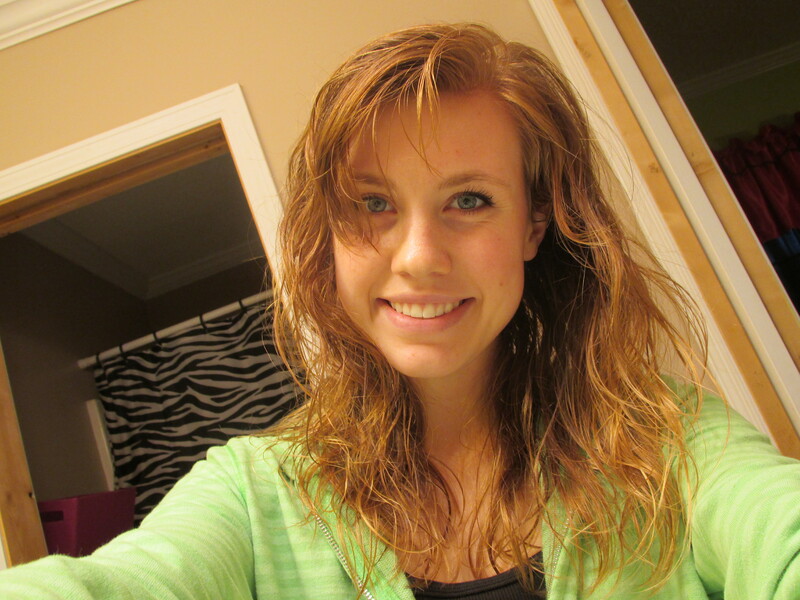 If you have curly or wavy hair and use gel or some sort of styling product on a daily basis, I would say go for it. I think with some tweaking and practice you could find a way to make this an easier process and it would really work for you. So yes. For me with hair that I rarely scrunch or use gel on, I’m not sure it’s worth the effort for a product I don’t really use anyway. Are you going to give this recipe a try? Leave me a comment and let me know how it goes! !